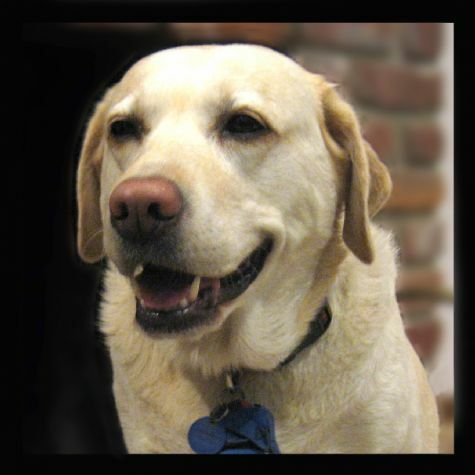 Paula is a yellow labrador. Her slow pace and easygoing personality have led to comments like, "Is that a real dog?" She often appears serious, but she's still a puppy at heart. She loves treats, but she takes them from people tentatively, like she is handling a fragile morsel that would disappear if she appeared too eager.